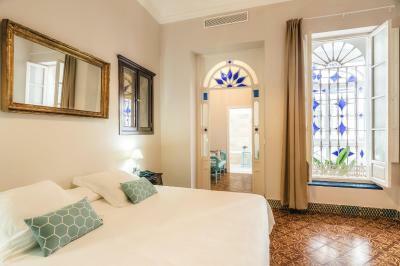 Lock in a great price for Hotel Boutique Casa de Colón – rated 8.7 by recent guests! 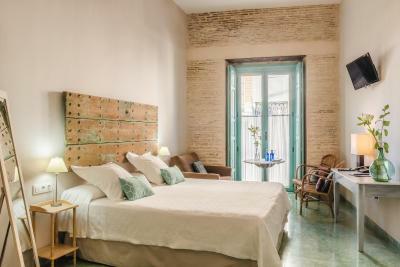 The hotel is charming, the staff bends over backwards helping you feel at home relaxed and destressed. Really the service was as good if not better than the more famous hotels around the world. The location was excellent and this was especially important since I was a woman travelling alone. 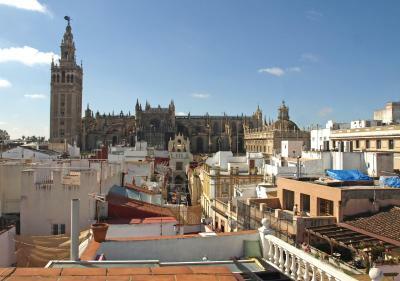 It was next to the Cathedral, Tower, Alcazar, bull ring, and Santa Cruz. 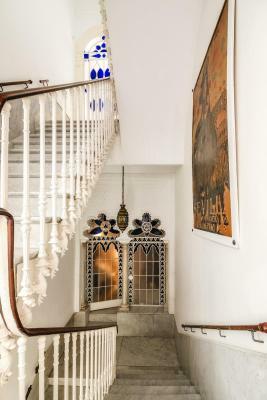 I loved walking up two marble steps upon entering my room. There was a lovely fountain behind glass that added nice ambiance. The location was outstanding. Room was comfortable and roomy. the reception folks were superb...warm, friendly, and extra helpful. Ana in particular helps us with some bus ticket problems. 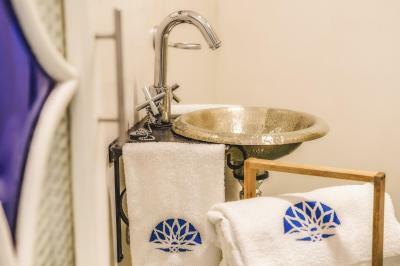 lobby is warm and welcoming, water in room with small treat on arrival. the location is convenient to everything but quiet. just a wonderful 3 star hotel. we would go back. 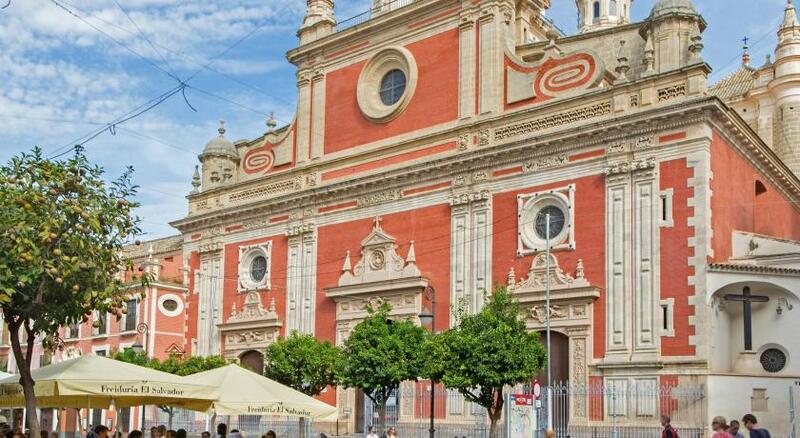 Absolutely perfect location - just a few minutes from the Cathedral. 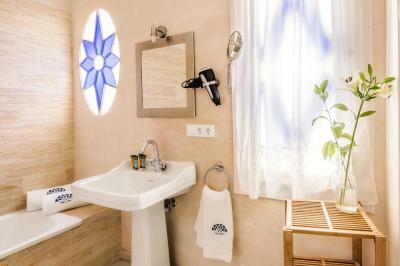 Beautiful room, comfortable bed, nice hot shower. 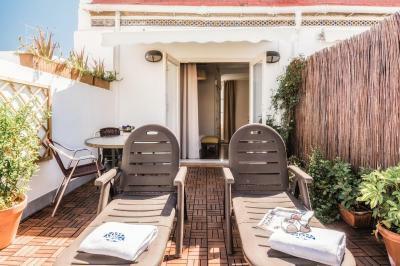 Lovely roof terrace. Despite being on the ground floor near to reception, it was nice and quiet. The location was amazing, just a short walk to the main cathedral. 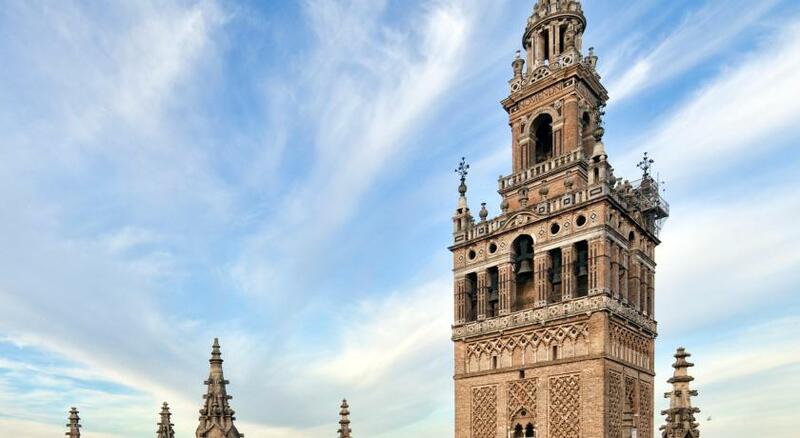 Make sure to have breakfast up in the terrace to enjoy a great view of the giralda. The place itself has a lot of charm and the staff was very helpful and friendly. 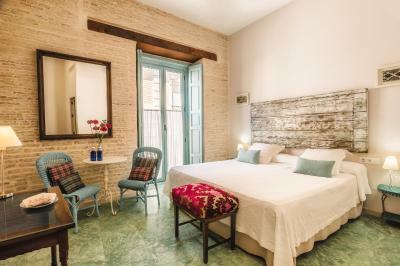 Hotel Boutique Casa de Colón This rating is a reflection of how the property compares to the industry standard when it comes to price, facilities and services available. It's based on a self-evaluation by the property. Use this rating to help choose your stay! 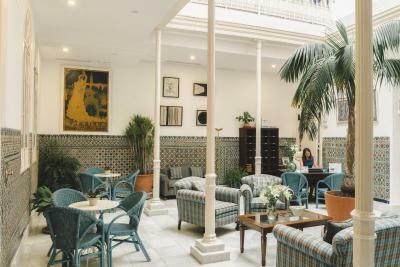 One of our top picks in Seville.Set less than 150 feet from Seville’s Cathedral, Hotel Boutique Casa de Colón is located in Seville’s City Center. This hotel offers a 24-hour front desk and a terrace with views. 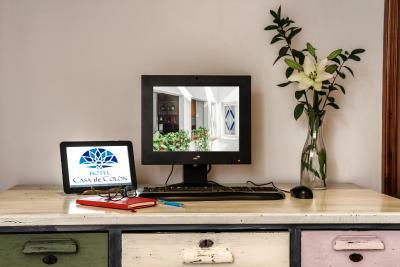 All air-conditioned rooms at Casa de Colón have a unique décor and come with flat-screen TV, safe, and desk, plus a private bathroom with hairdryer and free toiletries. They are arranged around a central patio with stained-glass windows. 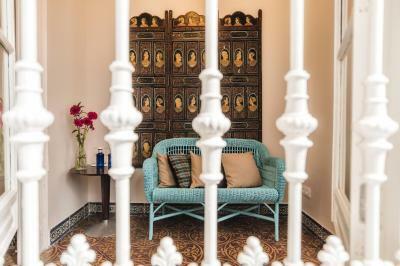 Located within a restored colonial building, the property offers a concierge service and tour desk. 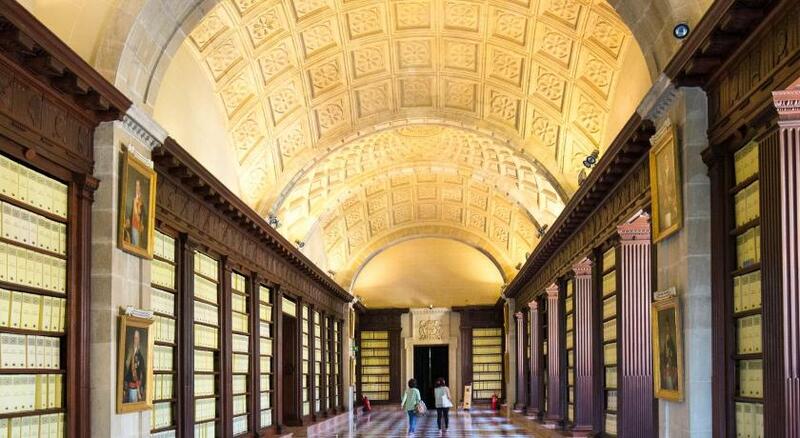 There is also luggage storage available, and you can rent a bicycle or hire a car. 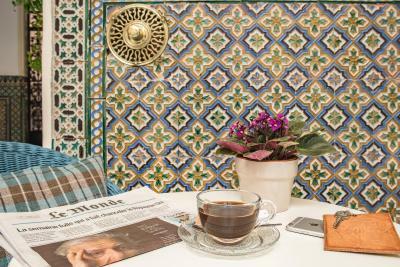 There are several restaurants, cafés and a grocery shop within 150 feet of Hotel Boutique Casa de Colón. 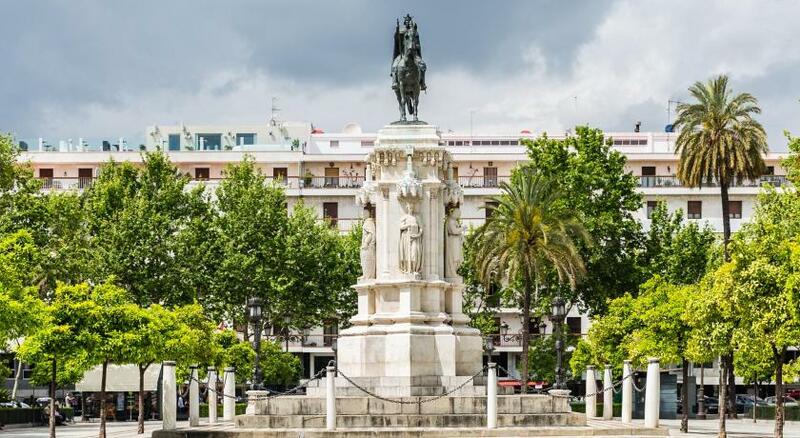 Real Alcazar Park is a 5-minute walk from the property, and Plaza Nueva Square is 350 feet away. 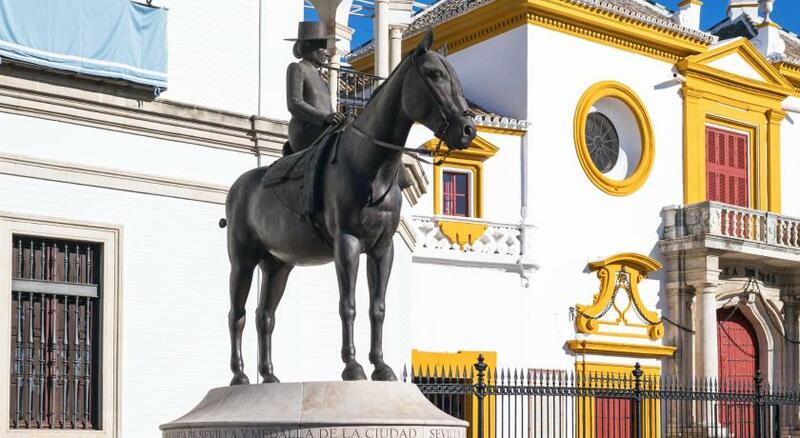 Sevilla Train Station is a 25-minute walk away. 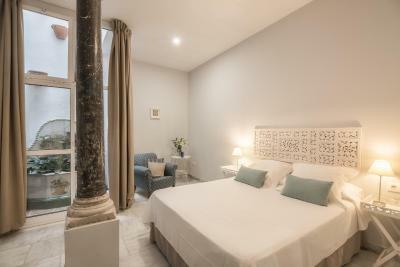 When would you like to stay at Hotel Boutique Casa de Colón? 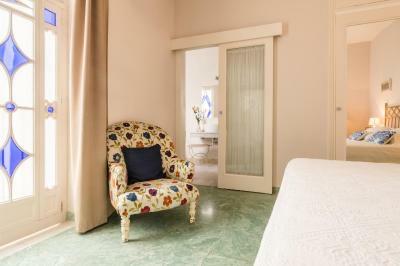 Set on the ground floor, each of the rooms is decorated with precious details such as stained glass windows. 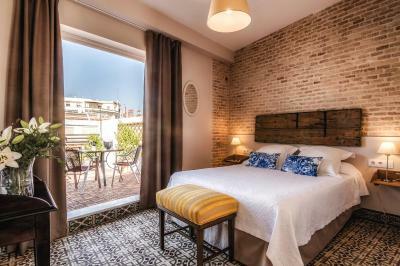 This air-conditioned room features a double bed or 2 single beds, flat-screen TV, and desk. 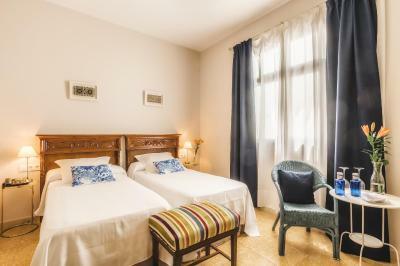 This air-conditioned room features a double bed or 2 single beds, heating, flat-screen TV, and desk. 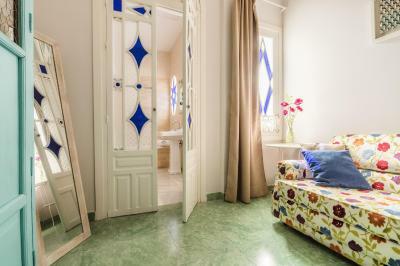 Each larger room is decorated with precious details such as stained glass windows. Set around the central patio, these tranquil rooms offer a small living room. 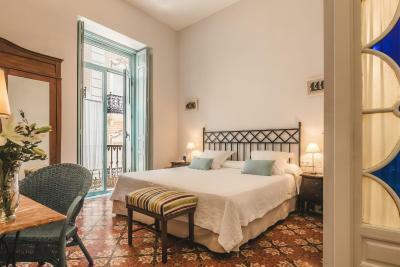 The rooms preserve precious details such as door locks, stained glass windows and high-end floor tiles. 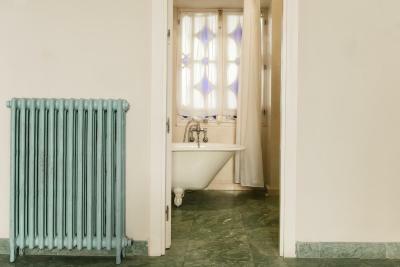 Air conditioning and heating are both included. Extra beds are available upon request. 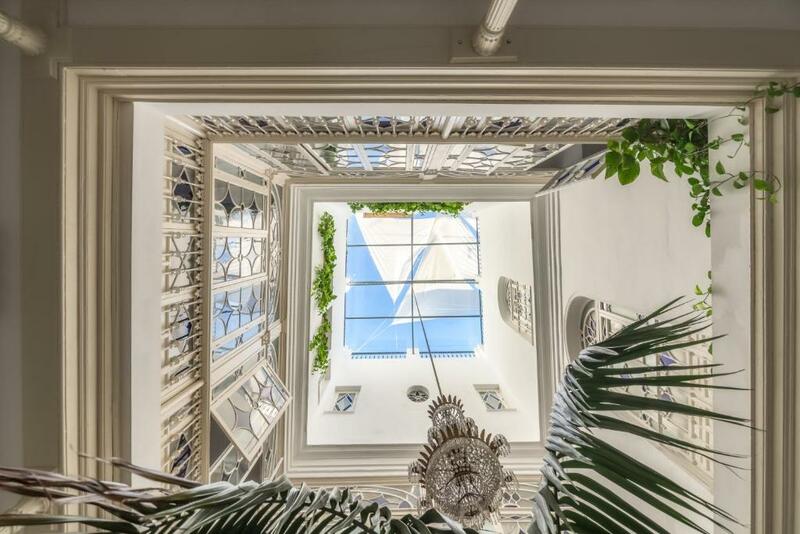 Featuring a terrace with views of the city and the Cathedral, this restored penthouse room features stained-glass windows. There is a flat-screen TV, desk and seating area. 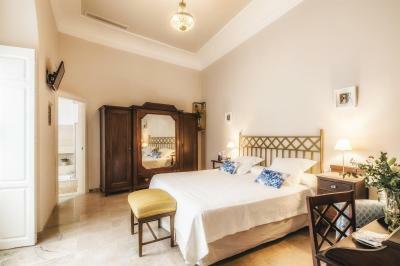 This penthouse has air conditioning, heating and a double bed. These exterior-facing rooms feature a balcony with views of the Cathedral and San Francisco Square. 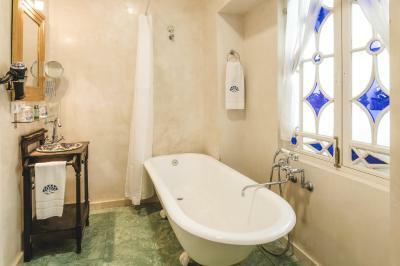 They include a small seating area and a bathroom with a bath. 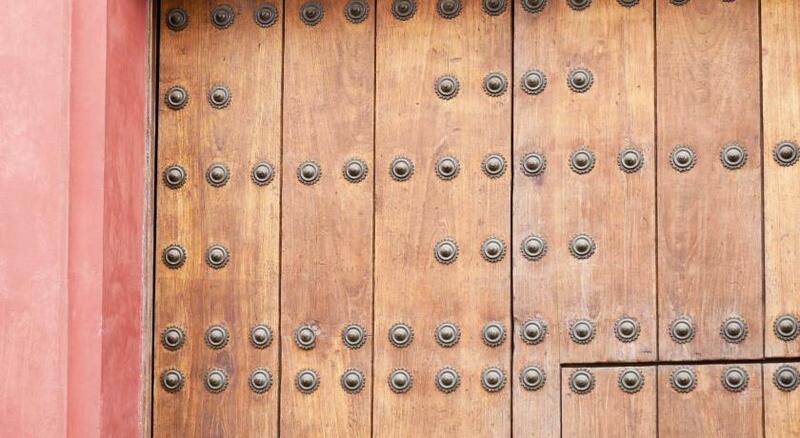 The restored rooms preserve precious details such as door locks, stained glass windows and high-end floor tiles. 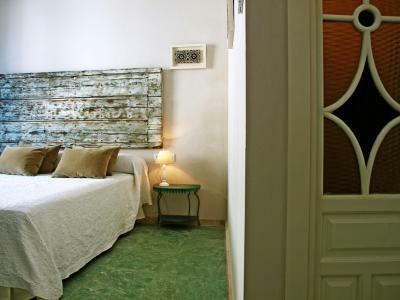 The rooms are equipped with air conditioning, heating, flat-screen TV, and a telephone. 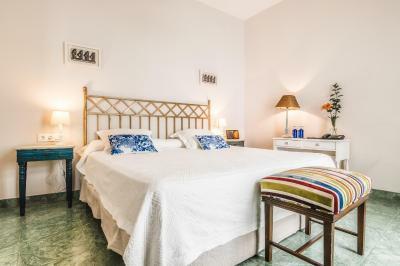 Set on the ground floor, this single room has a flat-screen TV and air conditioning. 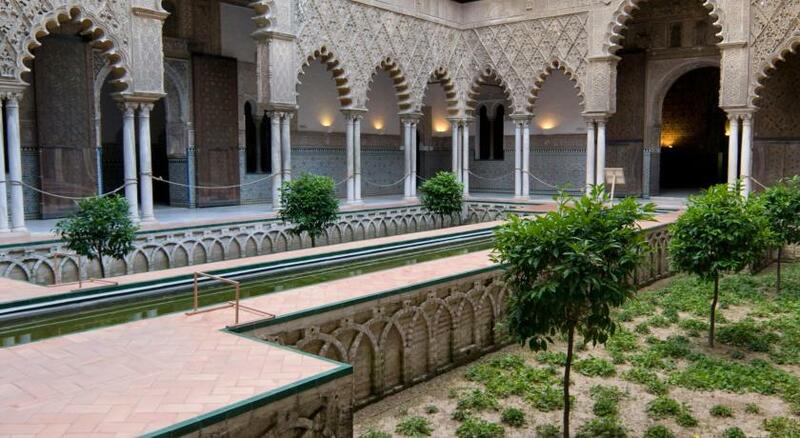 This room overlooks an interior courtyard. 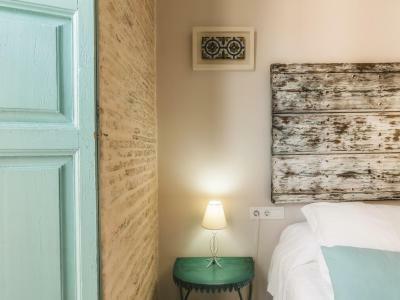 House Rules Hotel Boutique Casa de Colón takes special requests – add in the next step! 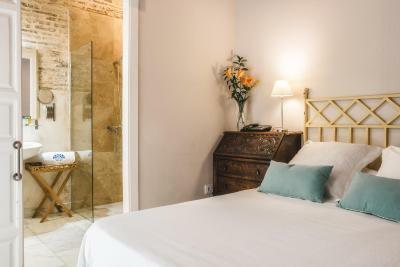 Hotel Boutique Casa de Colón accepts these cards and reserves the right to temporarily hold an amount prior to arrival. Please note that extra beds are available on prior request and subject to availability, only in Grand Deluxe Double Room and Deluxe Double. 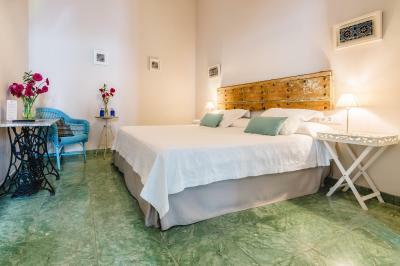 You must contact Hotel Boutique Casa de Colón directly to request extra beds. 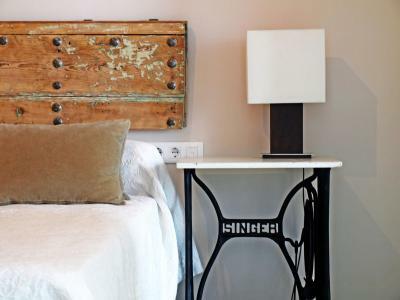 Unless you have written confirmation from the hotel, your extra bed is not guaranteed. Please note that the hotel is a nonsmoking hotel. Smoking is only allowed in the terrace. Please note that breakfast is not restricted to a timetable. 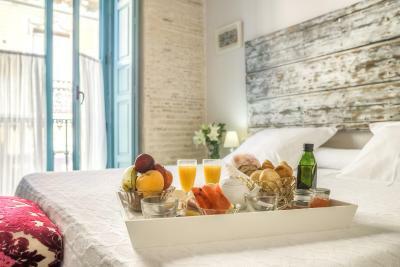 Guests can enjoy breakfast in the room, living room or in the terrace. Bathroom needed a refurb, especially as it was a superior room. Breakfast a little too continental for the British. Hotel full of charm and character, staff very helpful. Ana and her team were fantastic and so welcoming. Loved the small gesture and touches in the room. Fresh flowers, tea, coffee, water & biscuits. 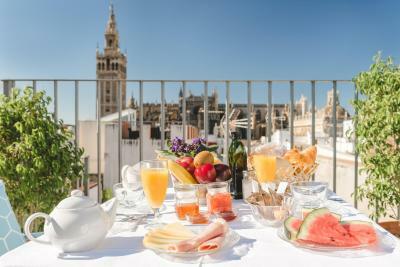 Breakfast on the terrace was lovely. Everything about this hotel is on point. We loved it. Small issue - why don't hotels ever seem to give you enough hooks and shelves for all that stuff you want out of the suitcase? Hardly a deal-breaker but so easily solved. 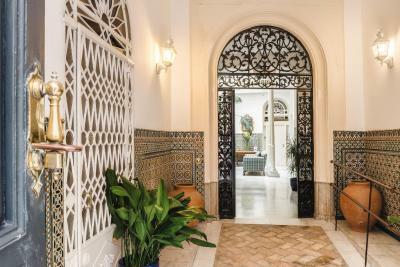 Fantastic location, 200m from Seville Cathedral. Faded elegance best describes the hotel. Our room was dark and gloomy but that was because everything was built around a central void with, for our room, no windows to the outside. While the breakfast was plentiful, there wasn't much variety from day to day. 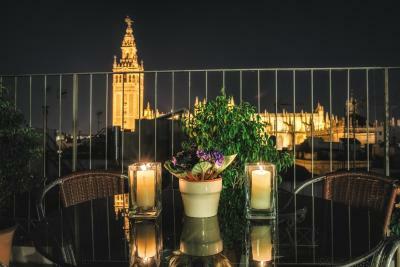 Excellent location, with rooftop terrace overlooking the Cathedral. 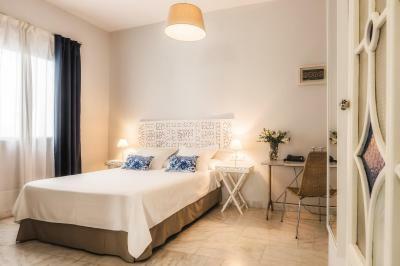 Very warm welcome from all the staff, comfortable, tastefully decorated rooms and public areas. Lack of shelving and hooks in the bathroom. From the moment we booked the service was amazing! Super friendly team throughout!! Such a beautiful hotel to stay in!! Breakfast was disappointing - didn't look very exciting. No proper coffee. Bedroom and bathroom very drab - needed a paint and boring toiletries. Expected something much smarter from the photos. The double rooms look way nicer than the twin. Again roof terrace needed smartening up. Location was fantastic. Loved the blue glass in the doors and windows. Loved having a roof terrace. Staff were friendly but not over helpful. Staff very friendly and helpful. The breakfast was tasty and worth the €8 . 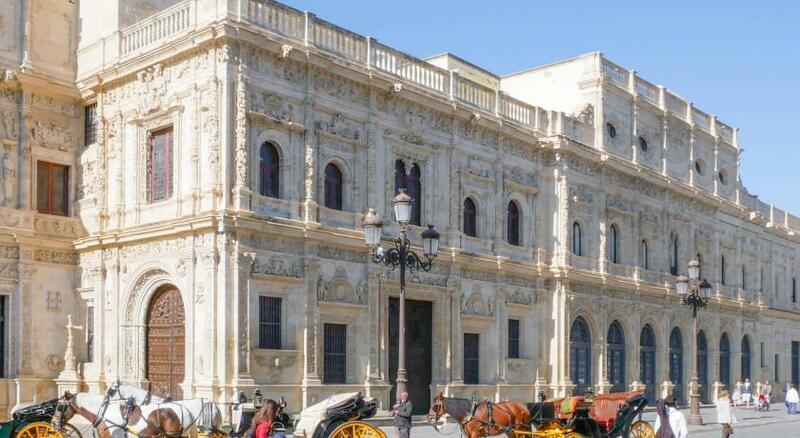 Would definitely recommend the hotel as a place to stay in Seville. The room was very big and comfortable. Lots of light coming in from the patio. Very nice feeling inside the room. Breakfast was delicious, and great views.